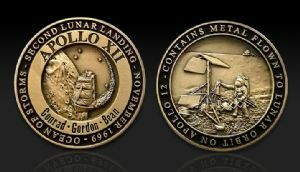 These Apollo 12 Medallions are the 2nd in a series of Apollo Medallions containing flown metal, the first being the Apollo 17 Medallion. 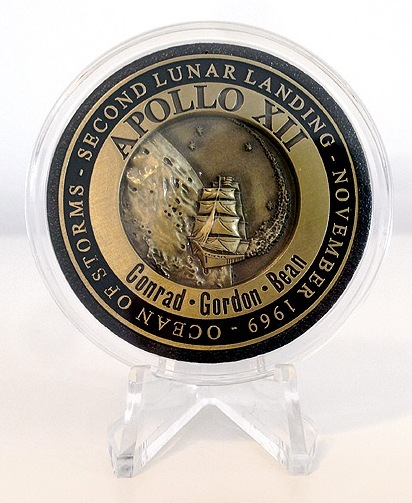 Each Apollo 12 Medallion is 1.75 inches in diameter and contains metal that flew to Lunar Orbit aboard Command Module, Yankee Clipper. 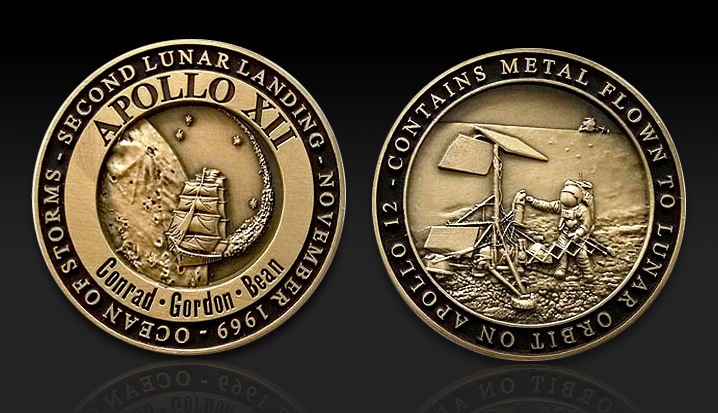 The front depicts the Apollo 12 Emblem in a beautiful three dimensional render, with the rear showing the famous moment when astronaut Pete Conrad visited the Surveyor III spacecraft that had been sent to the Ocean Of Storms 3 years earlier. Both sides have a black enamel ring behind the text. 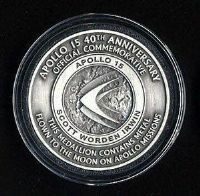 The Medallions were minted by space medallion specialists, Winco International. Each order comes with a protective circular acrylic case, and a Moonpans COA card.